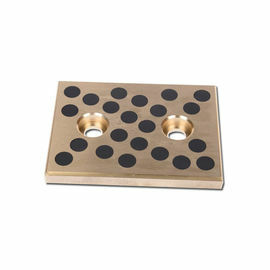 VIIPLUS CAST BRONZE BUSHINGS of C90300 give superior quality and performance. Continuous casting achieves a high density grain structure, free of porosity, resulting in a reduction of tool wear and component rejects. Solid bars are stocked 13" increments and 105" lengths, and are available in other lengths and nonstandard sizes. Consider bars for use when you need special bearings, bearings for prototypes, or for emergency repairs. BS EN (CC490K, CC491K, CC493K, CC480K, CC483K, CC482K, CC495K, CC496K, CC331G, CC333G, CC762S, CC764S). Mfgr Process: Centrifugal Casting, Continuous Casting. Pump components, small gears, bearings, impellers, flanges, low pressure valves and fittings. Light duty bearings, general hardware, fixtures, low pressure valves and fittings. Heavy duty high strength alloy for gears, cams, slow speed heavy load bearings, screw down nuts. Bearings, bushings, piston rings, valve components, seal rings, steam fittings and gears. Marine pumps, valves, bearings, bushings, piston rings, steam fittings and gears. Heavy duty gears, high load bearings, bushings and worm wheels. Gears, worm wheels - Good shock resistance, Automotive synchronizer rings. Heavy duty bearings, bushings, piston rings, valve components, steam fittings, gears. 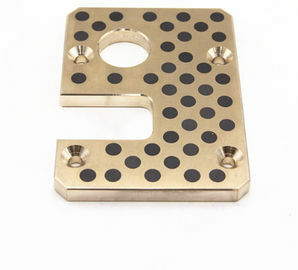 General utility bearings, bushings and wear plates for medium speeds and pressures. high speed bearings, bushings, high speed light loading and light pressure parts. Bearings for high speed and heavy pressures, pump parts, pressure tight castings. Turbocharger bearings, bearings for general service and moderate pressures, railroad applications. High strength bearings, bushings, gears, worms, wear plates, valve seats and guides. High strength bearings, corrosion resistant parts, aircraft valve guides and seats. Anti-fouling salt water corrosion resistant parts and general marine hardware. As a professional special copper alloy production plant, the company controls the chemical composition, mechanical properties, physical properties and other properties of materials with strict internal standards. 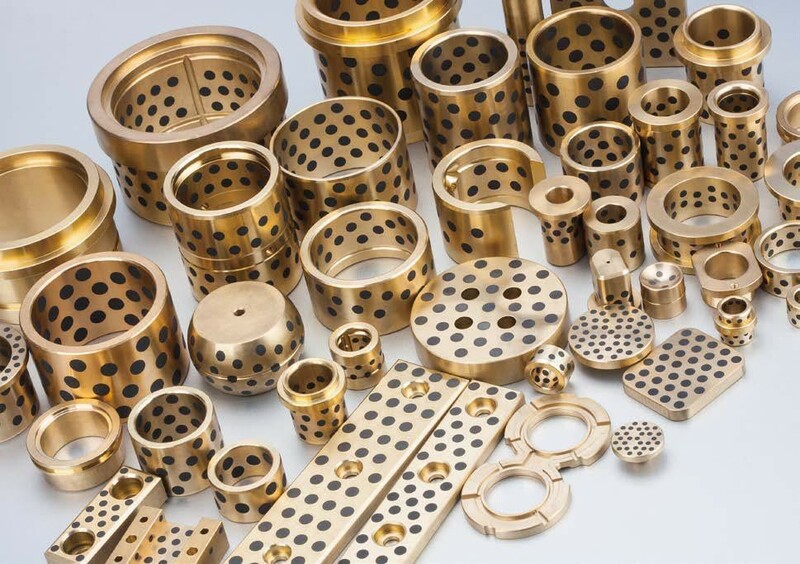 The company produces the corresponding bronze alloy according to the relevant brand standards of China and foreign countries, with excellent performance and short delivery time. The company's existing product brands: qsn6.5-0.1, qsn7-0.2, qsn8-0.3, ZCuSn10P1, ZCuPb10Sn10, ZCuPb15Sn8, ZCuPb20Sn5, ZCuSn5Pb5Zn5, ZCuSn6Zn6 Pb3, C54400, C84400, C93200, C93700, C93800, etc. According to the national standard, American standard, German standard and other customer standards for custom. 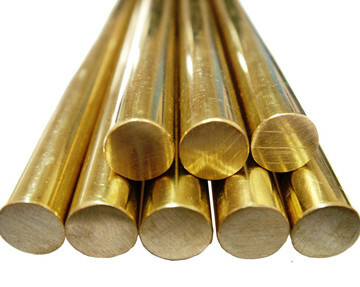 Products: copper rod, copper tube, including shaped tube, rod. 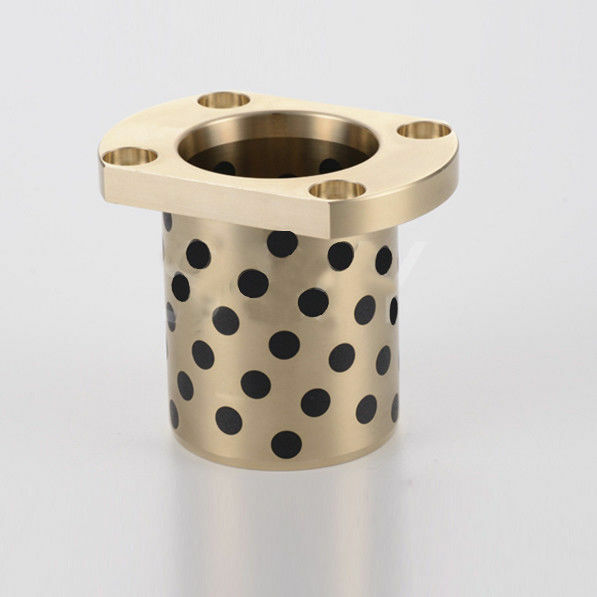 This product is made of high strength brass CuZn25Al6Fe3Mn3 with special formula, which has high mechanical properties, good casting performance and good corrosion resistance in air, fresh water and sea water.The products are widely used in continuous casting machines, mining machinery, ships, gas turbines and so on. Bearing is an important part of steam turbine, which is divided into radial support bearing and thrust bearing. They are used to bear all the gravity of the rotor and determine the correct position of the rotor in the cylinder. Copper alloy inlaid self-lubricating bearing (foreign says deva. 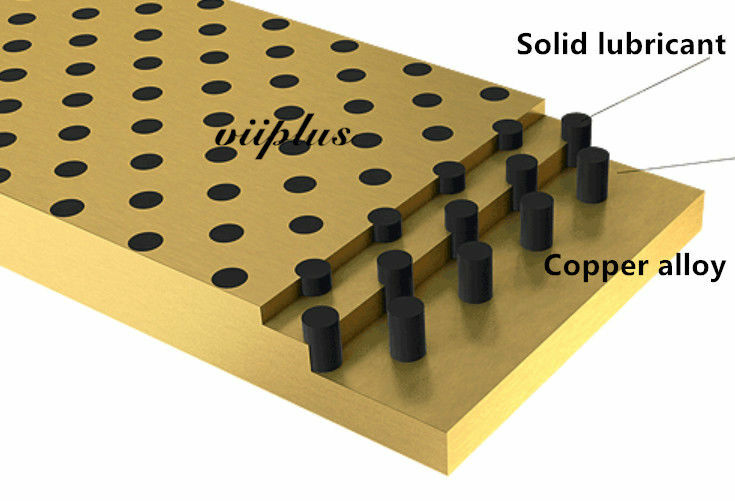 Glide) is based on copper alloy substrate, on the friction surface according to certain proportion to drill out the appropriate size, arranged orderly several hole (diameter phi d 200 mm or less) or blind hole (diameter phi d > 200 mm), the embedded in the hole with a unique lubricating solid lubricant by the precision machining of a kind of high performance self-lubricating bearings.It breaks through the limitations of ordinary bearings depending on oil film lubrication, especially suitable for non-oil, high temperature, high load, low speed, anti-fouling, anti-corrosion, anti-radiation, as well as in water or vacuum solution infiltration and no oil lubrication or lubrication difficult under special working conditions. 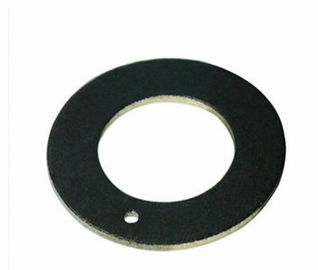 VSB-50W WASHER material is made of strong cast bronze based metal with special solid lubricants embedded. The base metal withstands high load and the solid lubricants provide self-lubrication. The bearing shows excellent performance without pre-lubrication under conditions of extreme high/low temperature with low speed. This material provides a maintenance-free bearing solution, particularly for high load, intermittent of oscillating motion. 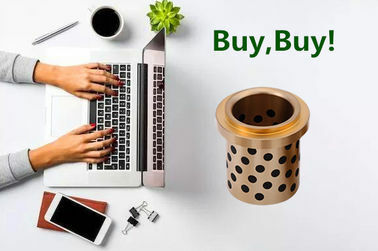 Turbine: guide blade shaft sleeve (guide, guide, guide), wheel shaft sleeve, pin shaft sleeve (connecting rod pin, push and pull rod pin, relay piston pin), anti-wear ring plate (thrust ring), anti-wear block, control ring side tile, etc.. Metallurgical industry: continuous casting machine, die-casting machine, tension leveller, rolling mill, conveyor bearing, roll-cut shears (bilateral shears, fixed length shears on the skateboard), etc. Other: mining machinery, ship machinery (anchor) for sliding parts, oil machinery, textile machinery, construction machinery, lifting transportation (lifting support shaft sleeve), vehicle production lines, auto mould, light industry, machinery, machine tool industry, filling equipment, punch surrounding equipment with bearing, plastic machinery, injection molding machine clamping mechanism, extrusion mechanism, turbine, instruments and meters, high voltage automatic switch, fireplaces, door hinge, drying oven, bake, and paper machine drying tunnel, high temperature furnace with bearing, wind power and other industries and fields, and other industrial and agricultural machinery.